Emmeline Comes Home to Manchester. 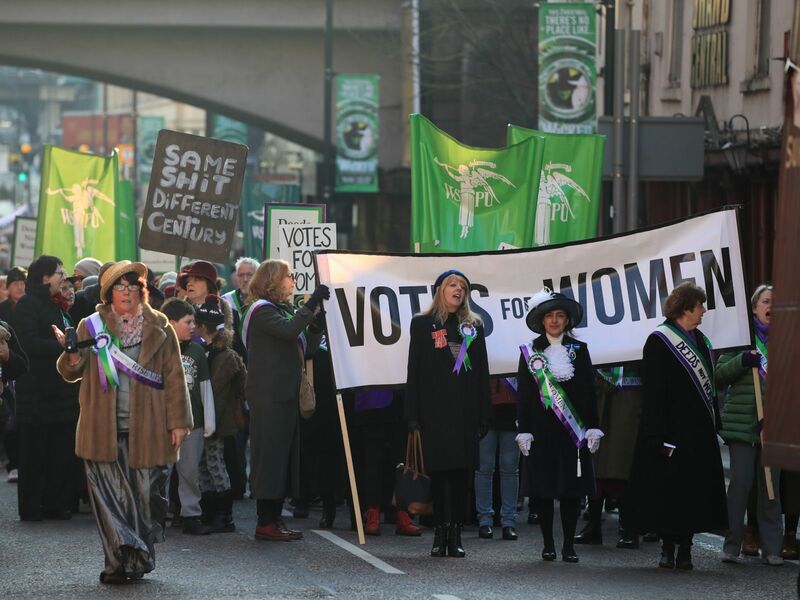 Hundreds of modern-day suffragettes gathered in December 2018to see the unveiling of a statue of Emmeline Pankhurst in her home city. The figure, in St Peter's Square, Manchester, was revealed on the 100th anniversary of the first UK election in which women were able to vote. 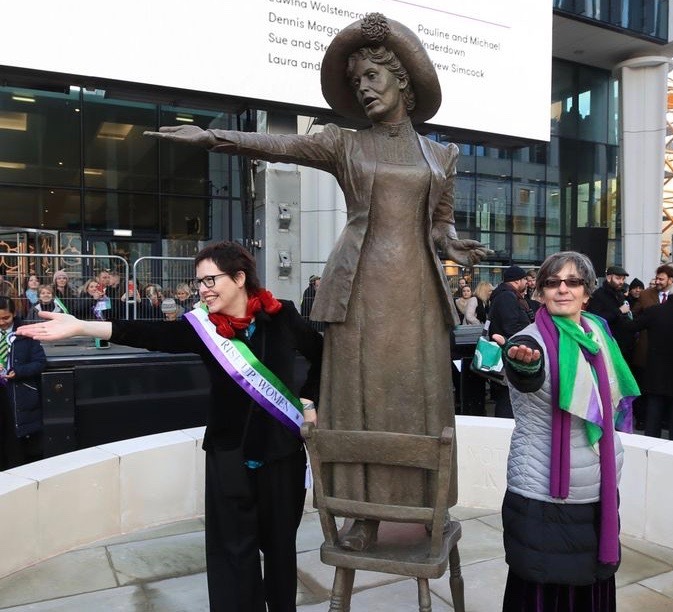 Supporters wore green and purple sashes with the slogan "Votes for Women" and chanted "deeds not words" as Mrs Pankhurst's great-granddaughter Helen unveiled the first statue of a woman to be built in Manchester since Queen Victoria was unveiled in Piccadilly Gardens in 1901. Hundreds of schoolchildren waved homemade banners as they marched from The Pankhurst Centre to the statue, where they met with other marchers as Eurythymics song Sisters Are Doin' it for Themselves was played. Her great-granddaughter described the campaigner as someone who "defied social norms, defied the establishment and said we can do so much more. She was important to Manchester - her birthplace, the place where she grew up, the place where she had her kids, the place where her husband died, the place where she formed the political movement, the suffragette movement. She is being welcomed back in a meeting circle with people congregating, coming together with that sense of community, with that sense that there's still so much to be done.